Programming Languages For Web Developer – The web industry has itself changed in the past two decades. During its initial days, it was all about having a website and HTML was the primary language used for building websites. Static websites are used to represent a pre-defined set of information such as a business profile. Dynamic websites interact with the user and show dynamic information depending on the data of the user such as online railway reservation website. The first question that comes to every developer’s mind is to choose the best programming language for the project. What programming language to learn? That’s why today we’re here with a list of Some best programming languages for a web developer. Check out our list of best programming language for web developer below and leave a comment if you like it! 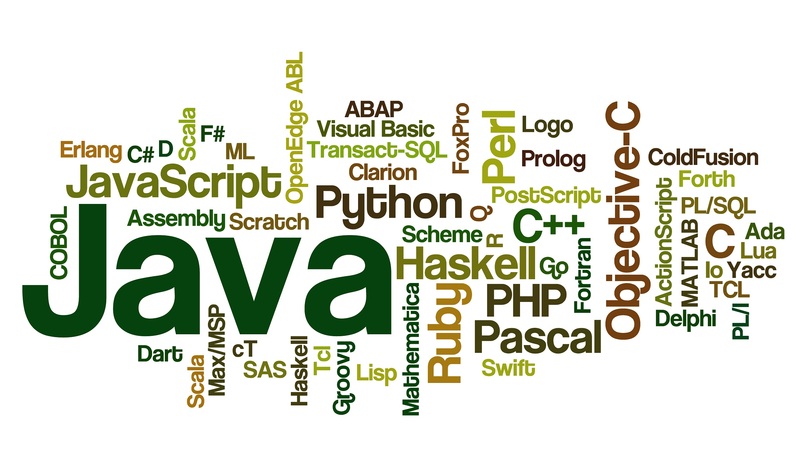 JAVA is one of the best and most popular programming languages on the web. Sun Microsystems develop it. Java is an open-source language, which means it’s available free-of-cost. It can be used for developing a stand-alone program as well as individual applets used on multiple websites. It benefits from both object-oriented paradigms and functional programming characteristics. .NET is a framework developed by Microsoft in 2000, and it’s used as a framework for many software and web-based applications. It’s mainly a Windows-based framework. It supports the Common Language Infrastructure and uses different CLI languages such as C#, F#, J#, Visual Basic.NET along with numerous other languages. PHP is used to signify the PHP Hypertext Processor language, and it’s an interpreted script language. It is best suited for server-side programming that includes constant server-tasks performed during the development of your website. It’s a fast-prototyping language, and it’s best for developing web-based applications that require maximum functionality with minimum code. It’s suited for advertisement apps, agency, media, small software business, and startup business owners. Python is a dynamic language which means the developer can write and run the code without needing a separate compiler for the purpose. It supports many programming models such as object-oriented programming, structured programming, and even functional programming to a certain extent. It is a superb language for scientific, academic and research level applications that want a quick execution and accurate mathematical calculation. Developed by Yukihiro Matsumoto in the year 1993 Ruby is a programming language to offer a balance of functional programming along with imperative programming. It’s a dynamic programming language and supports multiple programming paradigms such as functional, imperative, and object-oriented model. It’s an object-oriented language and has a somewhat similar syntax as that of Python and Perl. So above is all about Best programming language for a web developer. Hope you like it so please don’t forget to share this post with others. Also if you interested to create online websites, apps and marketing campaigns that are infused with creativity and focused on delivering measurable results, then check this Web Development blog too. Note. We usually updated this article so, please Bookmark it in your web browser.